The word ‘olive’ can be traced back to many ancient languages, its current forms rooted in Latin (oliva) and Greek (elaia). Olive trees are native to the Mediterranean region, Asia Minor and Syria, and can live for thousands of years. 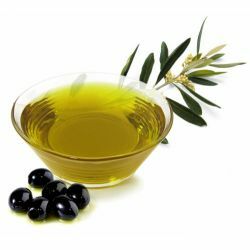 The oil’s active ingredients are vitamin E (a fat soluble antioxidant), oleic acid (omega 9 monounsaturated fatty acid), hydroxytyrosol (plant polyphenol) and squalene (an organic compound found in human sebum). We use the organic variety in our Happy Pill Bath Ballistic to soften and condition the skin.